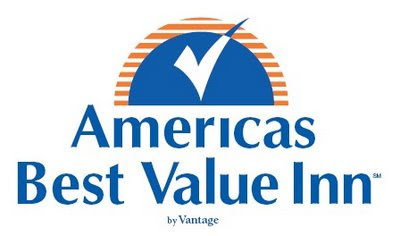 Driving on the highway yesterday, I noticed a sign for Americas Best Value Inn. That is not an apostrophe catastrophe, folks. This budget hotel chain made the conscious decision to leave the apostrophe out of its name because apostrophes can't be included in URLs. So what? We've known that for years! Just because your web site address can't use proper punctuation doesn't mean your entire business should suffer! I am officially boycotting Americas Best Value Inn. Also on my list of boycotted companies is Bank of America, but that's a whole other story. Actually you can put an apostrophe in an url. Ill-advised but just use %27 if the browser won't accept "'". So this is even more inexcusable. Wow, I had no idea! Do any urls actually use them? Um, nope. Just North America. Okay, it's official: They're stupid. Chinas Best Value Inn?? That's even worse. There's certainly only one China. If you read the countless negative comments on their Facebook page, the incorrect punctuation is the least of their problems. Shoe's. Oh My God! Shoe's.